From the Founders: Together We Support Black Business! — myblackbox co.
From the Founders: Together We Support Black Business! This post was written by Co-Founder Jacque. We can't believe how fast time has flown since we launched in January of this year and then started shipping boxes in March. Because blackbox purchases directly from the Black-owned businesses we feature, your subscriptions help support 4-6 small businesses every month. Since March, we have featured over 30, yes over 30, Black-owned businesses! We know it's not always easy to search for Black-owned businesses for different products you may be looking for. That's why our 5 categories cover everyday life: bath & body, food & drink, fashion accessories, home & office and art & literature. We make it easy to discover and support Black-owned by simply subscribing to our service. Our curation process is pretty involved. Every week Co-Founder Jacque is working hard on discovering small Black-owned businesses with quality products that meet our price points per category to potentially feature in an upcoming box. She searches online, via Google and social media mostly and often gets referrals from our followers as well as submissions through our website. Our main focus is small, indie Black-owned brands. 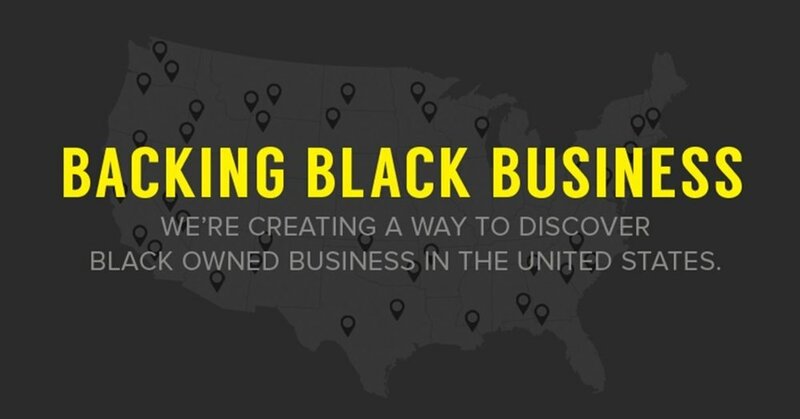 While we are proud of and happy for the Black-owned businesses that have grown large and possibly made it into the mainstream, we want to find those "unknown" small businesses to showcase to our audience across the US. It feels great connecting with so many hardworking Black business owners and discovering their collection of products and discussing the work they've put into their brands. We look for usable, unique, high-quality items for everyday use when curating for blackbox. And it's actually harder than it appears when speaking with so many great businesses about their products and only being able to feature 4-6 items per month. With such a great selection of products to choose from, we take our time with each month's collections to ensure we are sending quality items for our subscribers monthly surprise. We have loved each and every business and product that we've featured thus far and it has been a pleasure working with our talented Black community. Again, we've featured over 30 Black-owned businesses so far and we are just getting started and we go into our 7th box for October. Every month we reveal what's in the box via our social media after our subscribers have received their boxes for the month. It is very important for us not to spoil the surprise in store when you join as a monthly subscriber. We also go in-depth about our selections for each month's box in our Inside the Box blog series. We encourage you to check back often as we add more content to our blog and added features to our website. As we continue on this journey, we hope you join us and support blackbox. Remember, supporting us = supporting 4-6 other Black-owned businesses every month! We can't wait to share what we have discovered. Subscribe today!